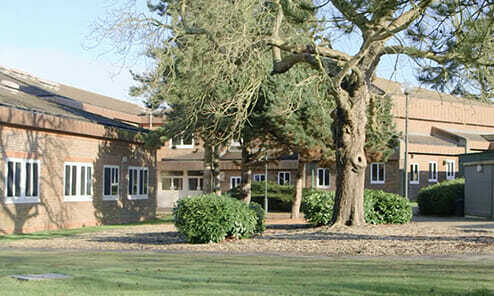 Wellesley Hospital is a purpose built 75 bed hospital in the South West for men and women with mental health problems. There are spacious en-suite bedrooms, expansive lounges and dining facilities, a gym, occupational therapy kitchens, library, art room and beautiful landscaped gardens. There is also an amazing sports hall and a five aside football pitch. The Wellesley Hospital built in 2017 works alongside Devon Partnership NHS Trust, Avon and Wiltshire Foundation Trust, Cornwall Foundation Trust, 2gether Foundation Trust, Cygnet Healthcare and Livewell to deliver the best possible environment for patients with mental health issues. The unit will be one of NHS England’s pilot sites to test new approaches to delivering mental health issues and will be working alongside Devon Partnership NHS Trust, Avon and Wiltshire FT, Cornwall FT, Dorset FT, 2gether FT, Cygnet and Livewell. We are currently recruiting – please see our recruitment pages for further information.